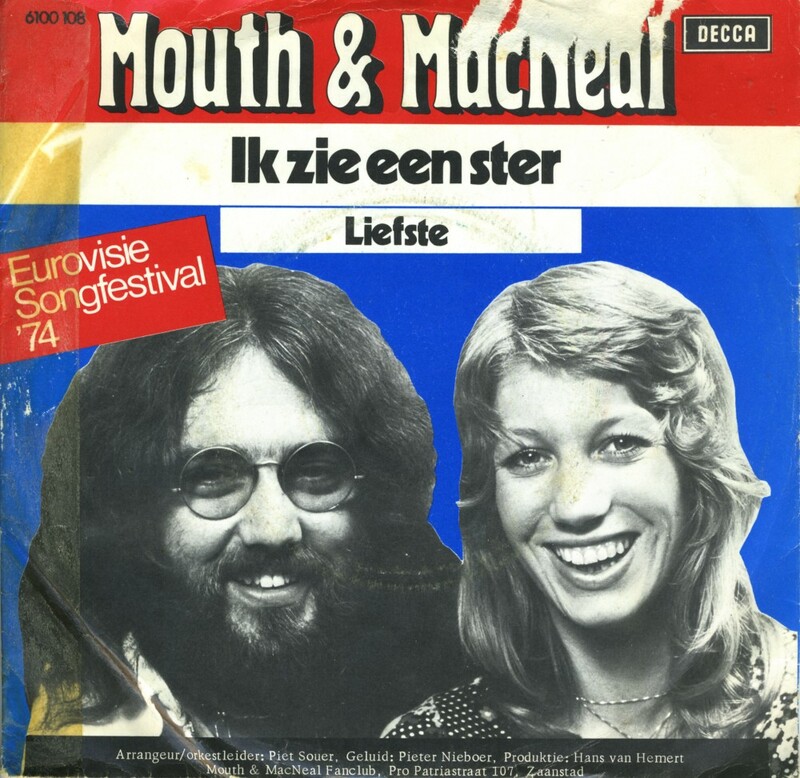 Besides the Dutch version 'Ik zie een ster', Mouth & MacNeal also released the English version of their 1974 Eurovision Song Contest entry as a single in Europe. In the case of the Belgian pressing, the sleeve was a variation on the Dutch one, making it quite a beautiful set. 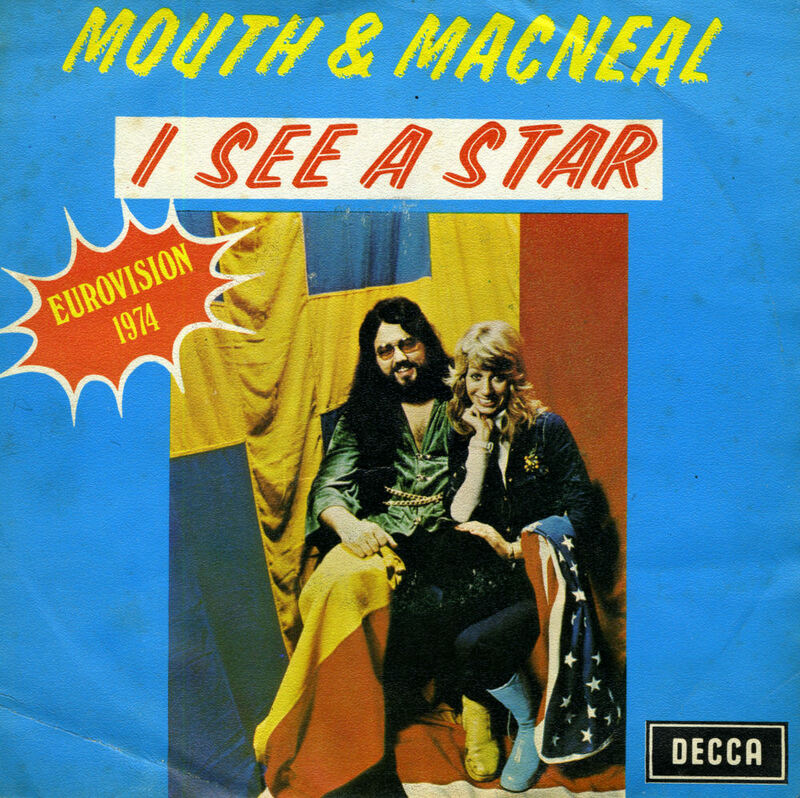 'I see a star' actually became a hit in the UK, peaking at number 8 in the singles chart during the summer of 1974. They remained one hit wonders in that country though: follow-up singles never charted. 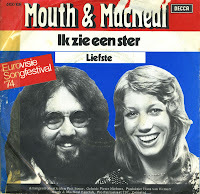 The song was released as a single in the Netherlands in March 1974 and reached number 3 in the Dutch Top 40. That's quite remarkable, as 'I see a star' finished third during the Contest as well. This Belgian pressing features a much more beautiful sleeve than the Dutch pressing. 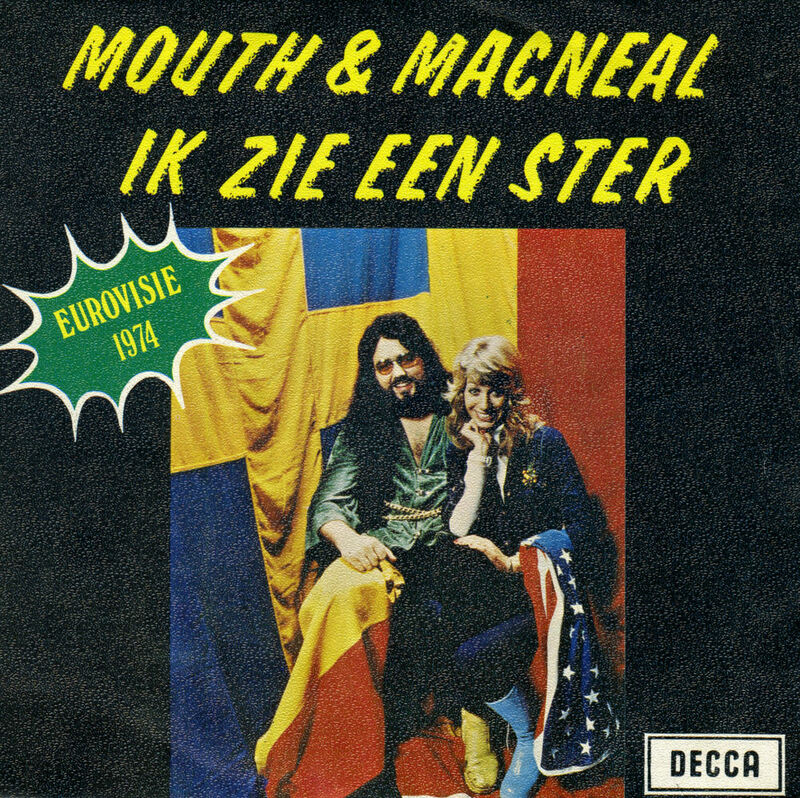 Mouth & MacNeal represented the Netherlands during the 1974 Eurovision Song Contest with 'I see a star'. Composed by Hans van Hemert and Gerrit den Braber, the duo recorded the song in three languages: Dutch, English and German. 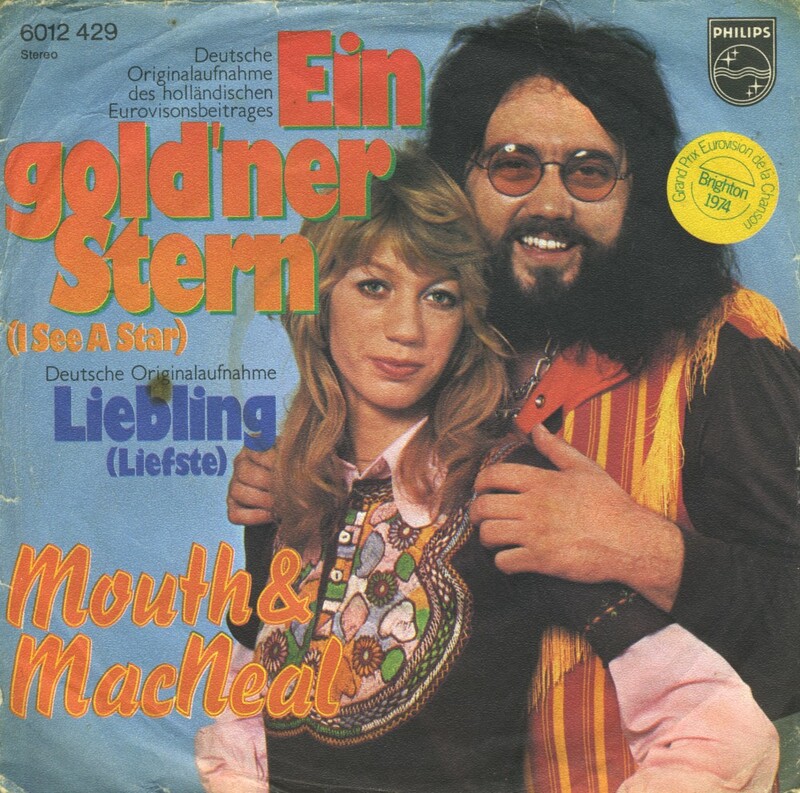 This single contains the German version, and was released in German speaking countries. The German translation was provided by Günther Behrle, whereas the B-side, the German versoin of 'Liefste' ('My Friend'), was translated by W. Mürmann. I don't know whether this version was a hit in any country. Exactly a year ago, this blog started with what I consider to be my very first single. A year later, I have posted more than 3000 entries, and I'm three quarters through my collection. Looks like early next year, all I'll need to do is post my new acquisitions. 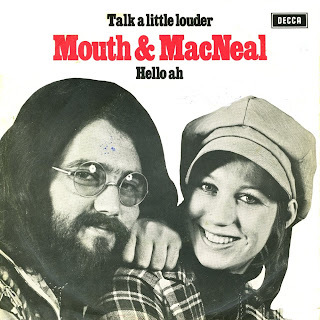 Anyway, to celebrate the one year anniversary of this blog, here's another single by Mouth & Macneal. Since 'Hello-ah' was the duo's second number 1 hit in the Netherlands, I thought it would be appropriate to post their first here. 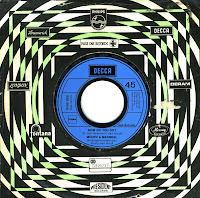 I bought 'How do you do' in 1981, ten years after its release. The first post... The first record! I was only six or seven years old when I bought this single. I remember where I bought it too: the shop was called 'Disco Market' and it was the most popular second hand record store in the area. It was already in business before I was born and it closed its doors only recently, last year I think. Loads of singles that will appear in this blog were bought there. Sometimes I went there every week. 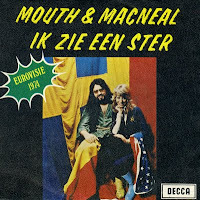 Mouth & MacNeal were a Dutch duo, most famous for their appearance in the 1974 Eurovision Song Contest. They finished behind Abba with their 'I see a star'. This single was their second no. 1 hit in the Netherlands, after 1971's 'How do you do'. It entered the Dutch Top 40 on May 20, 1972 and remained in the chart for 13 weeks. And there you have it... This blog is off to a very promising start. Future posts will feature music from the seventies, eighties and nineties - all in some way present in my record collection. It's all 'Music on vinyl' to me!